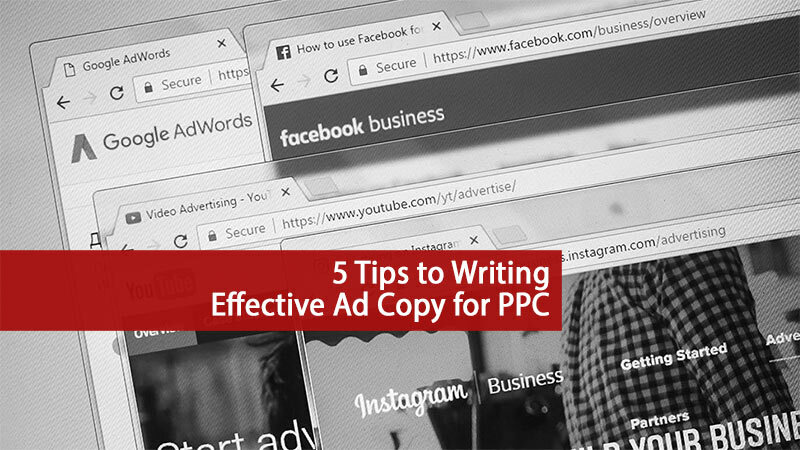 Creating the perfect ads for your PPC campaigns requires plenty of thought in order to be written effectively. They require a mixture of not just having a way with words, but also techniques of leveraging data and information you have about your target audience. Emotional response is an important aspect of ads because triggered feelings can be answered with your product or service. Emotional triggers would apply to PPC ad copy much like in traditional marketing. These include fear, guilt, trust, value, belonging, competition, instant gratification, leadership, trendsetting and time. You want the audience to connect to your ad message with their feelings and to take action on those feelings. Depending on your line of business, it is a good idea to try and explore ad copy that is not solely sales-oriented. Experiment with ad copy that makes the audience question their problem which your business has the solution to. For example, you could test out negative ad copy such as ‘Unhappy with your Skillset?’ which could then lead to a landing page for a training provider website. 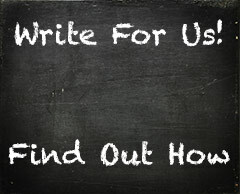 You could also play around with positive ad copy such as ‘Want to Acquire the Best Skillset?’. In addition to understanding your audience’s emotions, you need to address user intent. Cater your ad copy to the goal of each type of visitor – what stage of the customer buying cycle they’re at and what is most relevant to their problem. Throw in relevant and vivid words to grasp their attention and incite action. If an ad isn’t relevant, your ad impressions aren’t going to turn into clicks. It’s not just for search ads that you’ll need a strong call-to-action – for display ads they require an even stronger focus. You’ll want to go for ad text that hits them close to home and then back it up with a strong call-to-action such as ‘Learn More’. A case study by Jeff Allen from PPC Hero found that ‘Learn More’ as a call-to-action amongst ‘Become A’, ‘Apply’ and ‘Sign Up’ had the highest conversion rate, while call-to-actions containing ‘Apply’ had the highest CTR of that group. Regardless of these findings, ad testing should still always be performed to find the one that works best with your audience. A key barrier of clicks on your ad is buyer friction. 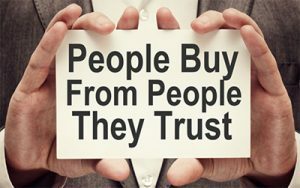 The audience may be anxious at whatever stage of the customer buying cycle they are at, so it is important to reduce buyer friction through focusing on the benefits available. For example, you can make use of review extensions, callout extensions and headings or descriptions to show benefits such as ‘free shipping’, ‘3 day delivery’, ‘30 day guarantee’, etc. which will help put their mind at ease and emphasize your outstanding customer service. Other than solving the audience’s problem and addressing user intent, why else should the audience click on the ad and go to your site? Providing additional incentives is a great way to draw in visitors and entice them to go ahead with their actions. If you mention sales, offers, promotions and exclusives, this can provide an advantage in raking in people who are simply looking for a product or service with price as an important factor. For this reason, ad copy should be up-to-date and reflect current sales situations. Appeal to customers by implementing ad customizers to personalize your ads. This feature is one which every PPC agency needs to know how to utilize, especially when they have the supporting data to leverage for more clicks. You can create a sense of urgency by including a countdown customizer such as ‘X Days Left!’ to entice the audience to click your ad. It also serves as a reminder because they may remember it and come back the following day if they’ve bounced from your site. Mobile ad customizers can also be implemented to cater more towards mobile users. For example, you can use a customizer that changes part of the ad copy to include a link to your mobile phone application which is more applicable than if it were being included on ads targeted for desktop users. Location ad customizers are extremely useful when it comes to searches where the audience does not enter a location for the service or product they are seeking. For example, someone might type in ‘ice cream delivery’ and if you have a location ad customizer set up, you can have the ad copy be dynamic by matching it to the location from which the person is searching from on their mobile. For example, the ad copy could be customized to ‘Ice Cream Delivery – Sydney’. Why are your competitors possibly receiving more clicks to their site than yours? Take a look at how the ads for your competitors have been written and create a set of test ads with copy that is similar but make sure you build upon it to make it even better!. This is a good strategy if you do not have the budget to perform your own market research or if your business is new to pay per click and SEO.